What an intense, truly unique take on a love story (or TWO love stories) that just might have you questioning exactly what is happening… and how she can be so deeply in love with two different men at the same time, without it being a what it appears to be. Is it? Or isn’t it? 😉 TONS of questions and guesses for sure. Michele G: I have to second everything Lisa just said about When Ashes Fall. We buddy read it…well Lisa inhaled it…then I inhaled it…now we are waiting for Jenn…then Renee…and so on… On a serious note, GO IN BLIND! Do avoid it if you don’t like heartbreakers….because I could have buzzed through a case of tissues (no lie). Don’t avoid it for any other reason…there’s really no cheating or anything else that folks might be worried about. It’s a beautiful and unique story. It is written in multiple POV’s (and time periods) which I know Renee is not digging and I confess that I had to get used to it myself at first too …but it really does lend itself to the story. Get in there ladies and read it!! Jenn: You will all have to forgive me as I am totally in a book that just GUTTED me so what is the book…I was sucked in right from the beginning with the first (4) lines of the book. Marni Mann is a new to ME author but I am seriously in love with this book even though I am hiccuping/sobbing and feel like I am going to throw up…I love having these reactions goes to tell you how invested I am. This book is owning me! YESSSSS!!!! I was sucked in right from the start, and devoured within 1 day. There was no *squirreling* with this one. BUT!!! There’s not much I can say in regards to the story as it’s one that presents itself in spurts of past and present (from multiple POVs), slowly culminating to an incredible reveal. 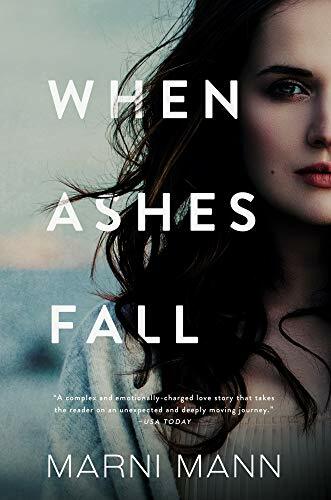 Jenn: I finished “When Ashes Fall” last night and I HIGHLY recommend this one, the words will move you, the characters will welcome you, and the journey they take you on will be unforgettable! 5+ STARS for me! I can’t even really do a “what’s it about” section… other than, Alix is obviously suffering from some sort of PTSD, and acute depression (could it be from heartache? Or is it due to the thing that makes her hide in the closet, terrified)? I was in complete darkness. That was where I belonged. And that was where I stayed. Something was wrong with all of this. I didn’t know how to fix it. I didn’t know if I could. I just knew I was completely in love with Dylan Cole, and Smith Reid had made me smile tonight. And that’s where I have to stop. The mystery will evolve slowly but surely and you will be hooked. This story is warm, and rich, and soothing and anxiety-inducing all at once. The author tells us up front (in the synopsis) that no one is cheating in this love story (even though, per the blurb, she’s in love with two men at the same time…deeply). And while I respect that (so as not to alienate those that don’t want to read a book that explores infidelity – as the synopsis suggests at first), unfortunately I found it gave away too much, KNOWING this upfront. It took away some of that shocking, unnerving edge, and worry. Lots of foreshadowing that, had I “gone with” the first part of the blurb – without that last sentence – I would not have picked up on and would have had QUITE the gasp-worthy surprise in the end. Unfortunately for me, I guessed it pretty much from the start, and so the reveal didn’t have the impact on me that I was hoping for. Maryse: Okay so I’m halfway through When Ashes Fall (started it today)!!!! I already think I know what I know… but I’m hoping to be surprised. Anyway, YAY!!!! I’m liking it!! Amy: I started When Ashes Fall, and at only 6% I was pretty sure I knew what’s going on. Now, at 12%, I’m 99% sure of it. If I’m wrong, all y’all can smack my a$$ and call me Sally. Obviously there is foreshadowing, and obviously there will be a twist, but I wish the blurb had been even more vague so I wouldn’t have guessed the twist. Or maybe after reading so many books I’ve just about read it all as far as storylines go and have little left to be surprised by. Cheryl: Amy, the blurb made me think of another book we read a few years back, that had an interesting twist. Amy: Exxxxxxxxxactly, Cheryl. EXACTLY. And I know we’re thinking of the same one. Maryse: Amy I think it’s ’cause it was so insistent (in the blurb and via everyone) that this was NOT a cheating-love triangle book… and the whole book seems to be written as if it WAS that way, so going in KNOWING it’s not, loses that “OMG NOOOOO” effect… BUT I CRIED!!!!!! LOL! Still, this is a must read!! It’s wonderfully written, and I enjoyed it from start to finish, with barely a moment that I set it down. He’d been out in the rain. Great review Maryse! I’m so glad you enjoyed it as much as the rest of us did!! I always love your reviews Maryse-I’m glad you loved it-makes me feel that all my love I was posting on your site was worth it! I really liked this book! I read it completely straight through without taking a break. I agree with you Maryse, that I wish I didn’t know at the beginning that it wasn’t about cheating. It would have made the book that much more intense. Awesome review!! I just finished it today and OMG , it was fantastic! It was so intense and intriguing, not to mention how swoon worthy both dudes were!